HO CHI MINH CITY, VIETNAM – A pivotal moment may have arrived for Burma (Myanmar), with the arrival on Wednesday of US Secretary of State Hillary Clinton, the first time in over a half-century that such a senior American official has visited the country. After her meeting on Thursday afternoon with Burma’s President Thein Sein, Secretary Clinton announced that the US is ready to improve relations and even indicated it could ease sanctions with Burma’s quasi-civilian government if the country continues with recent reforms. “These are beginning steps, and we are prepared to go further if reforms maintain momentum,” she said. Ms. Clinton’s visit may call to mind the iconic moment in Vietnam’s transition from Communist recluse to freewheeling economy when then President Bill Clinton signed-off on normalizing relations between the two former antagonists in the late 1990s. One big difference: The US thaw with Burma is more contingent on reforms continuing. If they do, analysts say Burma could see some of the same benefits that Vietnam has seen since its economic opening up in the late 1980s. Ms. Clinton announced that the US would no longer block cooperation between Burma and the International Monetary Fund and would consider reappointing an ambassador, a post left vacant since a brutal 1988 crackdown on student protestors left an estimated 3,000 dead. Similar to Vietnam after the war, Burma is off-limits to many Western companies in recent decades due to economic sanctions. Burma is rich in oil, gas, hydropower, and gems, and was once the world’s biggest rice exporter. After a half-century of brutal military rule, Burma is the second poorest country in Asia after Afghanistan, on a per capita basis, and many areas lack electricity and other basic infrastructure. To end sanctions, Clinton announced that Burma must release all 500 of the estimated political prisoners, according to a recently-established national human rights commission – another of the reforms that Clinton lauded today. Former political prisoners now in exile in Thailand say the real number is higher, perhaps closer to 1,700. They also say that the Burmese government needs to allow an independent UN assessment to report the real numbers of detainees. Other steps, according to human rights activists, that should be included before officially opening ties to Burma include ending the ongoing ethnic wars in the county’s mountainous ethnic minority strongholds and disclosure about dealings with North Korea amid on-off suspicions that Burma’s rulers sought nuclear weapons from Pyongyang. f those steps are taken, say observers, Burma could see a Vietnam-like growth spurt. 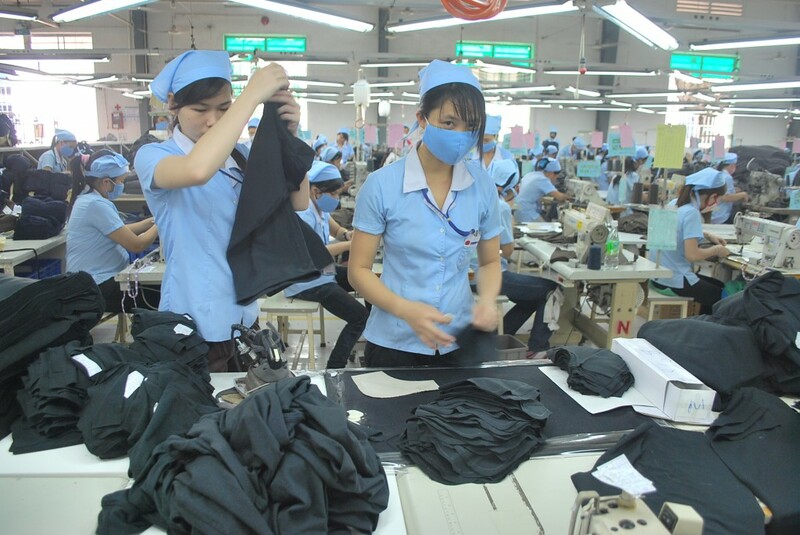 Vietnam’s economy has grown at 7 percent each year over the past decade. This boom has lifted tens of millions of people out of poverty and seen standards of living rise to “lower middle income” levels, as defined by the World Bank. “Vietnam attracts the most FDI [foreign direct investment] of any country outside the BRICS,” said Hong Tran, vice-president for business development at TMA solutions, a Vietnamese IT firm based in one of Saigon’s software parks. Whether or not the Burmese rulers intend to allow their country become a democracy is not clear. The real ambition might be to achieve Vietnam-style economic development – an open economy but with limited political reforms. In an interview with Guernica Magazine, U Win Htein, a former political prisoner and a confidante of Aung San Suu Kyi said that “democracy is not their objective.” Reforms are designed to bring Suu Kyi into the system, he believes, and in turn allow investment and aid. “With her, they can get a lot of assistance, which will help develop the country,” he said. However, unlike in Vietnam, political reform might be needed, as one crucial litmus test for the US to drop all sanctions remains a long way off: Burma’s next parliamentary elections are not scheduled until 2015.